Send a Letter to City Council Now! Bellevue needs Responsible Heliport Policy. We want to hear from you! Please leave your comments, suggestions and feedback here. Bellevue has long prided its self for protecting quality living within downtown Bellevue and immediately adjacent. It is essential that we not destroy the very qualities that make these homes so desirable by allowing un-necessary noise sources and safety concerns. And we must protect the rest of the city from the same threats. Bellevue needs a complete Helicopter plan to cover all phases and impacts on all of Bellevue. The City Council should be writing new codes and planning to keep up with the growth of the city. I agree that a heliport downtown in the midst of several highrise residental buildings is inappropriate, possibly dangerous, and lowers the qualify of living there for the residents. As a downtown constituent, my confidence in the stability and adequacy of Bellevue’s Comprehensive Plan is being significantly erroded because it does not adequately address future transportation issues for the downtown and it’s environs as a total greater downtown community. As with the incorporation of Best Practices for Sound Transit, consideration of helicopter landings in downtown Bellevue needs to be studied and documented. For a city with renowned cutting edge yet effective guidelines that have developed a really great downtown place, Bellevue needs to get it’s act together on this one…now, before landings are permitted by personal influence rather than thoughtful planning and development, and at the expense of the greater downtown community. Our street just celebrated the annual summer potluck, which brings together 14 homeowners and a rental home in the Wilburton neighborhood. Without exception, no one is in favor of helicopters flying overhead due to their noise and the big city atmosphere they bring with them. For a handful of super priviledged guys to have means of skipped the clogged 520 traffic is additional insult to injury. For the record, the majority of the Wilburton homeowners have had their homes 45 years or more. None of us in Wilburton think life is improved with the 25 office towers mushroomed up in the last 2 years. Almost every one of us feel we would not buy here if we’d known about this building frenzy, which directly impacts neighborhood walks, gardens and quality of life. A helistop is something I think any reasonable person would agree negatively impacts those in the surrounding area in many ways no matter where it is located. Those that are responsible for approving one should only do so when the greater good is outweighed for the community as a whole. An example would be a helistop for a hospital. In this case, only a few select people would benefit to the detriment of the greater community. No lives will be saved, the environment will not be better off and quality of life for many in Bellevue will be reduced. The result…only a very small number of people will benefit. For city officials to approve this for the benefit of so few to the detriment of so many (no matter how small) can only be dirty politics at best. This is especially true given that other transportation alternatives do exist. The Bellevue City Council has a responsibility to protect the quality of life of its residents and those working here as well. Where is the Comprehensive Plan for Helicopter use addressing such issues as limits on the number of helistops/heliports, locations, safety issues, etc.? I don’t see how the Council can show how the desire of one individual that may benefit a few should hold more weight that that of the majority. I don’t think there is anything wrong with a helicopter landing spot in downtown Bellevue. I thought it was neat when I first heard it. I don’t understand how it makes downtown Bellevue any less ‘livable’ or erode value. My understanding is that it is only going to be occasionally used, not be a non-stop helicopter port. That said, having rules about how often they can land, what route they take, what time of day they come through are all reasonable things to restrict. As far as saying private helicopters can’t come all … I would say the person in the helicopter has as much right to fly where he wants as Mr. Wilburton does not having to put up with noise. Why should either have to give up something when they both can make compromises? I think its ironic that the City of Bellevue restricts heli-ports from single housing residential neighborhoods that have an average density of 4 units/acre but would allow a heli-port to be located in the highest density residential mixed-use neighborhoods in downtown Bellevue. If the concept is to minimize loss of life in the event of a helicopter accident in a residentail zone, wouldn’t it make sense to limit helicopter flights in the areas where there is the potential for the most loss of life? This isn’t merely a quality of life issue, this is a safety issue as well. Big decision like this should consider the benefit and cost to the region as a whole. The costs to the local region are potentially immense. Sound pollution, distraction to drivers, increased risk of fire and accident, changing the character of an increasingly residential height as well as area, deterring further residential building, and decreasing property values and enjoyment potential of currently existing residential and commercial properties are all risks. These costs would extend to residents of the area, all those residents in the flight path, and the employees and owners of Paccar. The benefits are extremely few and perhaps largely illusory. Furthermore, the concrete benefits are to a select few. The costs are widespread and large. Potentially thousands of residents and employees in the region feel these costs. In short, it is difficult to justify a helistop given this balancing of the equities. As far as frequency the only limit right now is on an already approved helistop. If 10 other buildings want to have infrequently used helicopter landing pads what then? It appears that Bellevue’s elected officials and staff are dragging their feet about creating policies governing helicopters’ landings within the city. Can this be so? Safety, noise, quality of life, and both fairness and the appearance of fairness apply here. Bellevue’s leaders and staff need to establish policies and enforcing regulations that address these issues as they relate to helicopters’ intrusion on the community. I urge the Bellevue City Council to pass an emergency moratorium on private helicopter landings to allow a thoughtful consideration of current regulations, and write a new comprehensive code that considers the long term well-being of Bellevue residents and businesses. It is significant that a number of other cities who have experienced the results of invalid helicopter landing regulations are changing these regulations to allow helistops only in industrial areas. These cities allow only hospitals and police to locate helipads in residential and commercial areas. Let Bellevue benefit from the experience of other cities, and take the necessary time to revise its comprehensive plan to protect its residential and commercial areas. Bellevue City Council, please hold off on making a decision for this one private helicopter landing in order to assess the range of issues and make a long term plan. As a resident close to downtown, helicopters already wake my little boys from their naps. I am concerned about more helicopter noise and safety issues. Having grown up in Bellevue and hearing our stereotypes, don’t add to them by caving into someone with money versus putting the community first. You are the leaders for our children. Thanks. I strongly support an emergency moratorium on private helicopter landings. And I expect the Bellevue City Council to produce a well-researched and comprehensive code that we residents and local business owners can support. a private heliport for Bellevue. It will have a tremendously negative impact on the quality of life…..noise, polution, safety concerns….. for many while being questionably useful for a very few. I should also think that residents of the expensive new condos would find the air traffic especially unpleasant. Helicopters are cool. Move out to the country if you can’t handle the city life. For many people, moving out to the country is not an option. the helicopters are flying their lunch hour trips again and travels over head increasing during the day. the one making the most noise is the 1:00 to 2:00 one. why are they still flying over this area ? 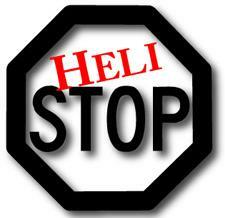 Helistop issue goes before City Council – Tuesday, July 6, 8PM Please attend! 3.15.10 Hearing Examiner Decision: Recommends that City Council remand the Kemper Helipad application back to City Staff for further investigation and analysis! lynn: For many people, moving out to the country is not an option. jp: Helicopters are cool. Move out to the country if you can’t handle the city life.